Hi buddies! I’ve recently been enjoying adding images of creative mail art to my Snail Mail board on Pinterest. I especially enjoy envelope art - both art intended to go through the mail, and art added to envelopes after they’ve been sent and received. 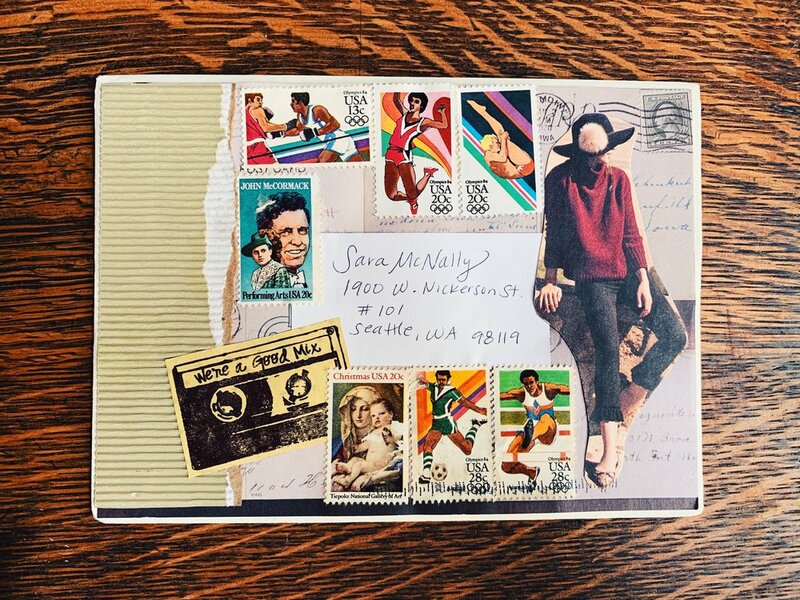 Looking at all the beautiful pieces shared on Pinterest, I’m excited to share some of the inspiring envelopes I’ve received and added to my correspondence collection. While I appreciate and enjoy all snail mail, even in an unassuming white envelope, these envelopes all bring a little extra fun to the table. I like to imagine the mail carrier smiling when they slipped these into my mailbox! 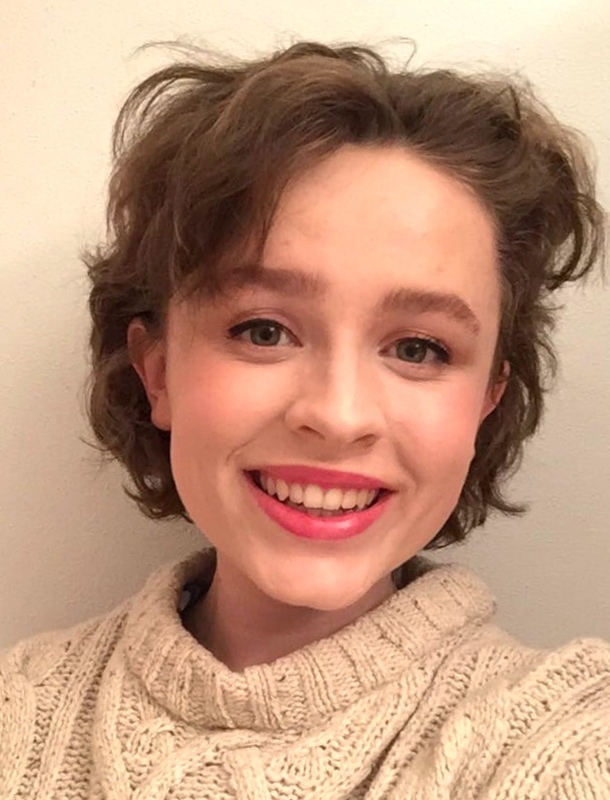 Meet the Team: Our Winter Intern, Bryn! Q: Tell us about your internship! 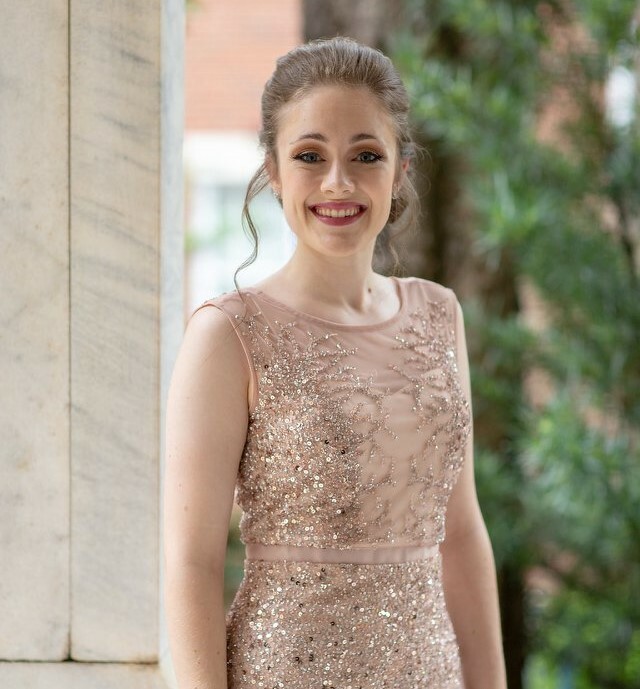 Constellation & Co. was my first internship and it was so fun! It was awesome to be able to meet and connect with a group of people who are as passionate about art as I am. One of the best parts of my internship was the huge variety of things I got to do and learn about. I helped with the retail shop, which included opening and closing the shop on time, handling money, and helping out customers. I also got to learn about the business side, and how Constellation takes an idea and makes it into a card. 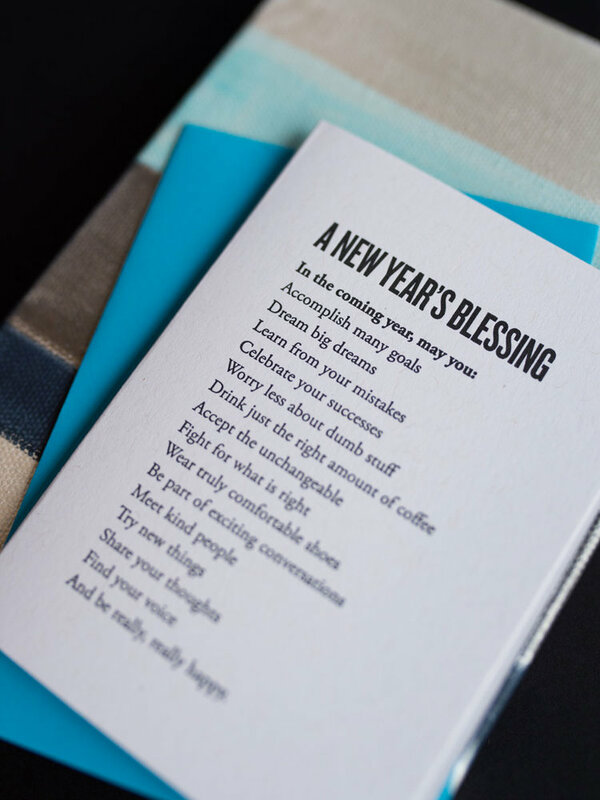 I loved learning about the art of letterpress too and watching how each card gets created. I got to create a window design, help out with the catalogue, and design three of my own cards, which was super fun and a very special experience for me! Q: What is your favorite thing about interning at Constellation & Co.? My favorite thing about interning at Constellation would have to be restocking the cards and making sure the shop looks nice. I love greeting cards and loved the process of packaging and pricing that made each card look beautiful. I also loved opening the shop first thing in the morning. Mornings represent new beginnings and a fresh start to me, and I loved prepping the shop for the busy day ahead. Passionate, driven, optimistic, creative and adventurous! When I’m not at the shop, I’m usually drawing! I love thinking up new characters to draw and creating backstories for them. I love going vintage shopping, too. Trove in Ballard is one of my favorite shops for unique and beautiful pieces. I love clothing that has a story behind it. I have so many favorite places in Seattle, it’s so hard to pick just one! I love going to the Ballard Locks, especially in the summertime. I love seeing the huge ships sail slowly by, love to hear the thundering rush of water as it pours into the locks. It’s a place that is both peaceful and very busy. Most of all, I’ve always loved seeing the salmon jump out of the water! To me, the Locks is both ordinary and magical and embodies the uniqueness and the industry that we have here in Seattle. 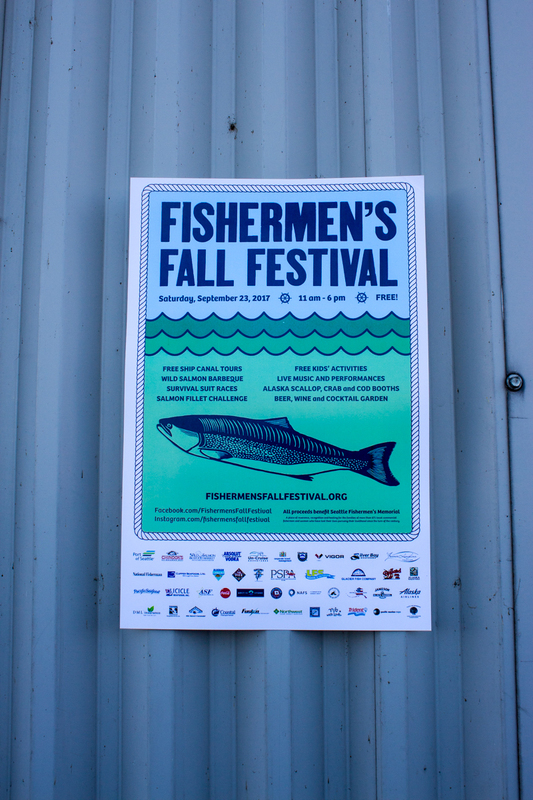 This weekend we celebrated our shop's 3rd birthday with our 4th Fishermen's Fall Festival! Our first weekend open was the festival in 2014. 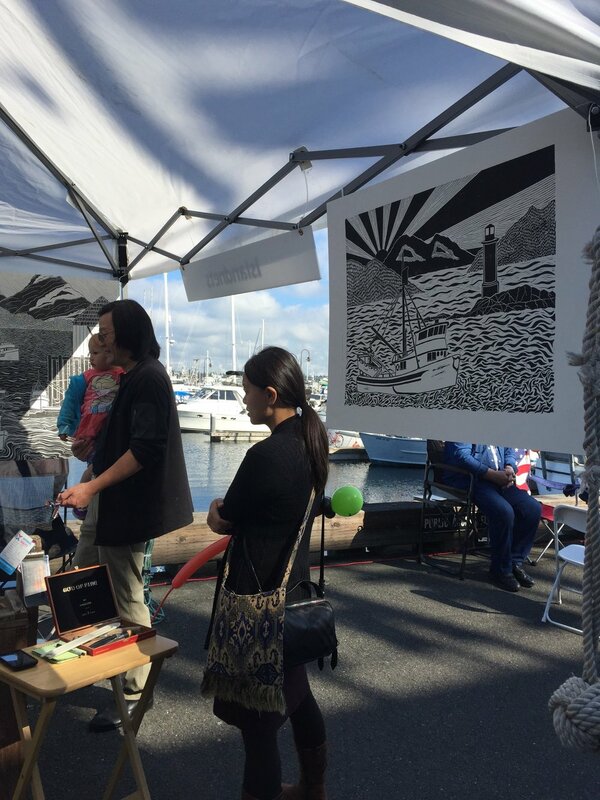 It was a wonderful way to meet the neighbors and be welcomed to the Fishermen's Terminal community, and our team has loved the event ever since. For 3 years, I've served on the committee to help plan the event, designing the poster and t-shirts for each festival. This year's festival was blessed by the perfect Seattle weather, and was very well attended. We were busy in the shop all day, greeting familiar faces and new friends. 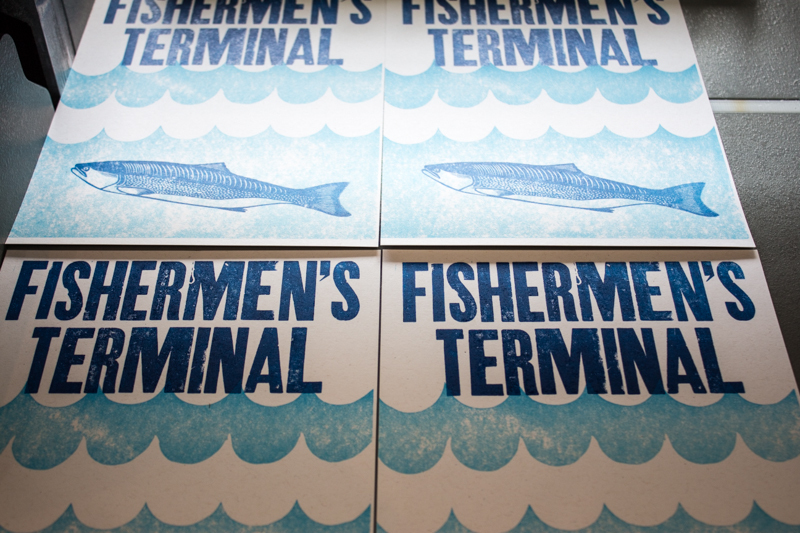 I spent most of the day at the iron handpress, helping people pull commemorative prints for a donation to the Fishermen's Memorial. I had an awesome day getting inky, but I was also grateful for quick breaks in the sunshine to eat scallops, soak in the sun, admire the bluest skies you've ever seen, and snap these pictures. Thank you to everyone who celebrated with us this weekend. It is truly an honor and a joy to see our little brick & mortar grow and thrive these last 3 years. And if you couldn't make it out this time, we'll see you next year! Card & Letter Writing Ideas! Finding the perfect card is a great way to get inspired about sending mail. But even the best card ever has blank space inside for your message. Many people have told me that they just can't think of anything to say inside of a card. My goal with this particular post is to share as many writing prompts as I can think of, so you'll get inspired. Some will be helpful. Some will be ridiculous. Let's do this. I'm sorry I said something stupid without thinking. I'm grateful you were there for me on a hard day. Something made me think of you the other day, and I wanted to share it with you. I found an incredible recipe recently and I want you to try it. I just found out I'm pregnant and I know that will be hard for you so I'm writing you a letter instead of making you find out on Facebook or in public. Remember that time we did ______ and it was so much fun? We just bought a house and I want you to come try out our guest room. I drew you a picture. It's bad, but hopefully it will make you laugh. I found something in a magazine that I think will make you smile so I'm sending it to you. I found an especially pretty fall leaf and you don't have fall leaves where you live, so I'm sharing it with you. Here's a poem I like a lot. Here are some song lyrics that felt especially poignant. I'm so sorry you had a miscarriage and I know people don't usually like to talk about it, but I wanted you to know that you are loved and I'm here for you. Here's a polaroid photo I took with terrible lighting. I hope it makes you feel nostalgic. I found this pin/patch/temporary tattoo/postage stamp/whatever flat thing and I hope you love it. I don't know what to say in this situation, but I care about you so I'm sending you mail. I got a new phone number and I thought you'd like to know what it is and if I text you, you'll say: "new phone, who dis?" Did you see that crazy thing that happened in the news? What is this world coming to? I've always thought you were particularly sweet/kind/pretty/brave/intelligent/interesting/etc. and I never told you. So, today's the day. I'm sorry I've been so busy and haven't responded to your texts. Let's plan time to be face to face. I'm enjoying getting to know you! I thought I'd send you some silly questions so we can get to know each other better. I heard that you lost your job. Here's a gift card for groceries. Remember that game we used to play when we were kids? I hope the memory makes you smile. I watched a new tv show that I think you'll like. I'm telling you about it so we can geek out together. I'm writing to tell you about the crazy weather we've had this season. Seriously, it's been nuts. I've set a new goal for myself and I want to tell you about it so you can help keep me on track. It was so nice to meet you at that party/event/bus stop/coffee shop/wedding/work meeting. I'd love to get coffee some time! Something you said really hurt my feelings, and I'm writing you a letter because it's really hard to bring up in person. I have an idea for a business/podcast/comic book/weekend trip and I'd love to run it past you to get some feedback. I've noticed you're really good at finances/art/patience/cooking/whatever and I'd love it if you could take me under your wing. Hello, I'm your secret admirer. You're great. Thought you should know. Thanks for sending me a letter! I'm super bad at sending letters, but I want you to know that I appreciated it. I heard you're taking on a new leadership role! I'd love to assist you however I can. I can't believe your kid is already ___ years old! It feels like yesterday they were a squishy little baby. I can't believe we're ___ years old! It feels like yesterday we were squishy little college students. I heard about your divorce. I felt like your ex never liked me. Let's be friends again! Hello, I am an alien from outer space and I've heard that humans communicate using this method. Woof! I am a dog! Hope you're well! (Pretend to be your dog. Also works with cats. This card is funny, huh? Okay, bye. I would like to cordially invite you to go to an upcoming concert/movie/play/live podcast/festival/etc with me! I got a fancy new pen and I am suddenly super inspired to write letters, so here we are. My teacher is making me write a letter for homework. *eyeroll* Here are several artist's renderings of popular emojis. I've written a love sonnet to coffee and I've decided to share it with you. This letter has been aged in coffee so it looks old timey. Are you not impressed? I'm writing this letter to your newborn baby. Please read it to them. I've had several beers and am writing you a letter. Enjoy! Dearest Resident, I don't know you but I'm sending you a letter anyway. How are you? Your house is nice. Have a good summer! Write a letter using only quotes from 80's sitcoms. Write a letter using only lyrics from broadway musicals. Write a letter using only titles of movies. Write a letter using only what you remember from high school Spanish. Write a letter to your past self or future self. Fellow sports fan, I'd like to tell about you about my favorite sports memory. What's yours? A new season has begun! I'm writing to tell you my favorite things about this season. I'm sorry the last letter I sent you was so ridiculous, I took some advice from this crazy stationery designer's blog and it was terrible advice. I'm going all in on National Card & Letter Writing Month this year. It's the perfect time to pen some words of friendship and love and brighten the mailboxes of my friends and family. I pulled out my box of correspondence today and was flooded with good memories and happy feelings. Weddings, baby showers, thank you's, apologies, holidays, you can do it's, I miss you's, hellos... so many beautiful words from so many beautiful people. I'm so grateful for these physical manifestations of love, and I'm excited to send some of my own this month. I'll be using the hashtags #write_on and #sendcardsspreadlove on Instagram and Twitter. I'll be keeping you updated on my daily card & letter writing adventures, and I'll be doing some giveaways too! Join me and share some snail mail love with the people in your life!